NEW YORK, N.Y., and VANCOUVER, B.C., May 1, 2012 – Drupal Connect and Canadian Drupal development firm North Studio announced Tuesday they have merged, creating the most diverse professional Drupal development, support and training team with a complement of over 75 professionals. Both companies will continue to do business under their respective names, with each one respectively becoming the other’s American and Canadian division. 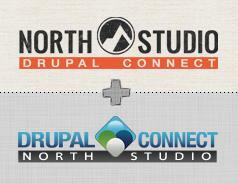 John Florez, President and CEO of Drupal Connect, said North Studio's world-class Drupal design, development, SEO and training teams will complement Drupal Connect's elite Drupal development staff. “This merger will keep us on the leading edge of technology while remaining competitive with the huge demand for Drupal CMS,” said Florez. Founded in 1999 in Victoria, British Columbia, North Studio is one of Canada's premier Drupal development and support companies. Its Drupal SEO and social media marketing division, Stikky Media, helps drive traffic to clients’ sites, while Q College, North Studio’s education arm, is the only government-accredited college in the world offering Drupal diploma programs. “Exponential growth and demand for Drupal development encouraged us to ensure professional Drupal training was part of our growth strategy,” said Q College Vice President Alida Sinkelman. Headquartered in New York City, Drupal Connect is a full-service Drupal firm offering Drupal development, training and staffing services. The company is engaged in projects worldwide including Sony Music Entertainment, Waste Management Inc., General Electric Co., A&E, the New York Stock Exchange, NBC Universal, Stanford University and the Carter Foundation. Drupal Connect was founded in 2009 by John Florez, who previously owned Drupal Staffing. Karen Smallwood, North Studio: 1-800-215-6702 or email. John Florez, Drupal Connect: 1-401-338-2589 or email.